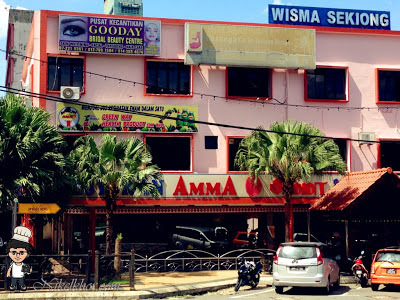 Amma Restaurant is restaurant located not far away from City Square, at the end of the Little India street in the town, catering decent and reasonable-priced Indian foods. During weekdays' lunch hours, Amma is always crowded with the working people nearby as the restaurant is air-conditioned and is spacious and comfortable to have a quick lunch. The exterior look of Amma, which is "decorated" (or obstructed) by few Areca trees. There are some limited parking space in front of the shop, but normally fully occupied. Masala tea is a traditionally and Indian favourite, made from Indian spices such as cloves, cardomom, cinnamon and ginger. 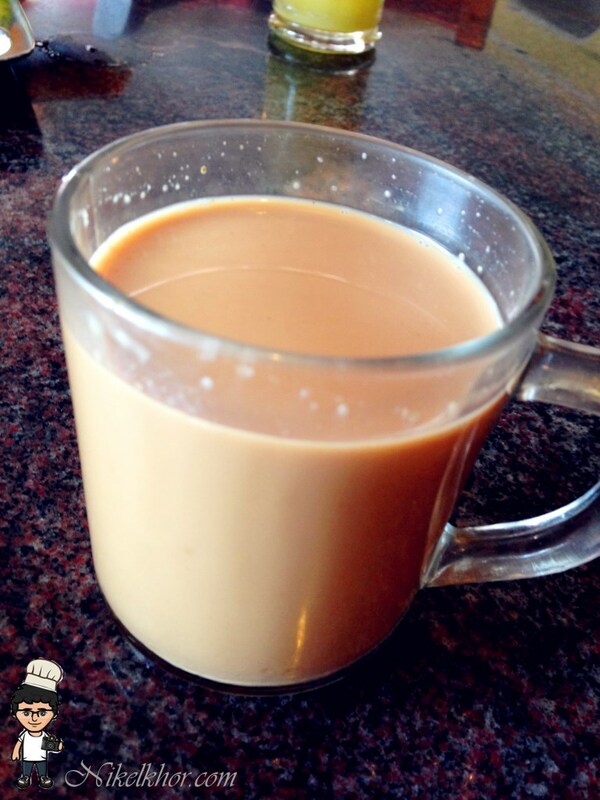 It is an ultimate remedy for a stomach upset and for a cold. 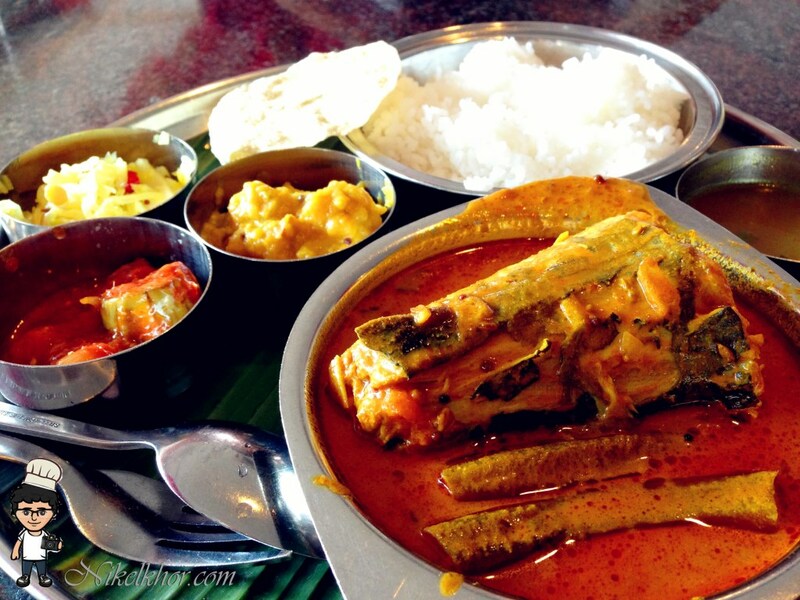 A big chunk of mackerel fish cooked with Southern Indian Styled Curry, served with few refillable side dishes, including rasam and some vegetables. Indian and regular indian foods lovers will pour out all the rice and dishes from the containers onto the banana leave, mix well and start enjoying the foods.The level of spicy is appropriate and suitable for all levels of people. Rasam is an Indian-flavoured soup, it is always a must and a meal is never complete without it, it is especially good when serves piping hot and soothes the soul. Ghee is clarified butter made from the milk, where it is used instead of oil while frying the thosai. 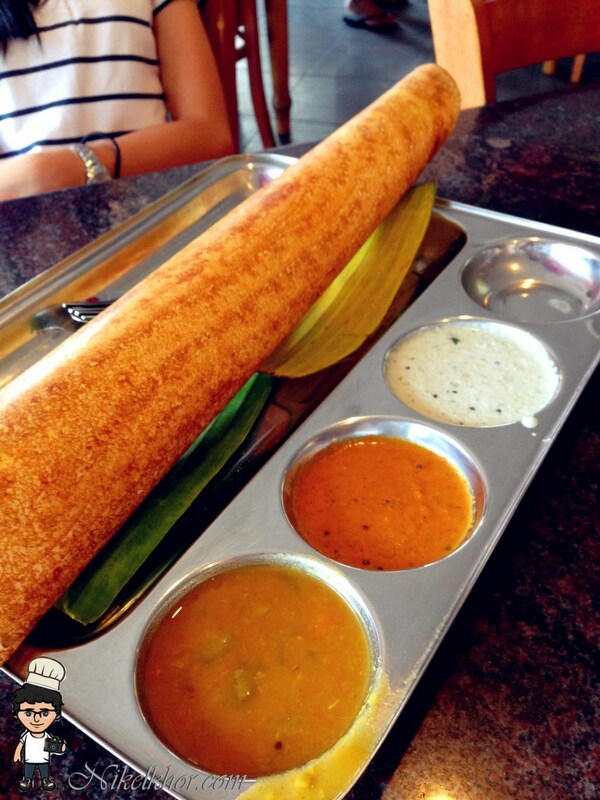 Thosai is a crispy savory pancake, a very good choice as tea foods. Ghee Thosai is served with three types of sauce, to accommodate different people's liking. Amma is also selling various Indian candy, which is decorated in different attractive colours and in fruit shapes. However, please mind the level of sugar in the tempting dessert and cut it into smaller pieces instead of wallop it in a big chunk. This is my first try on banana leave rice and it left me a quite good impression. 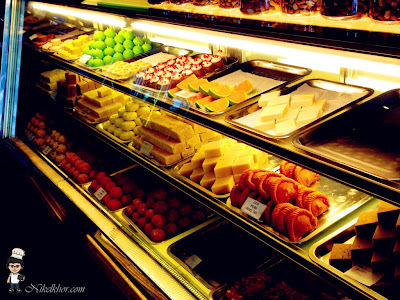 The visit to Amma definitely an eye opener to the world of Indian cuisine and inspire me to find out more! After a simple research, I noticed that Amma's foods lean more to Sounthern Indian style, and I will definitely continue my adventure of Northern Indian Food in the near future.